MMA Fighting reached out to the NYSAC about Costa’s comments. 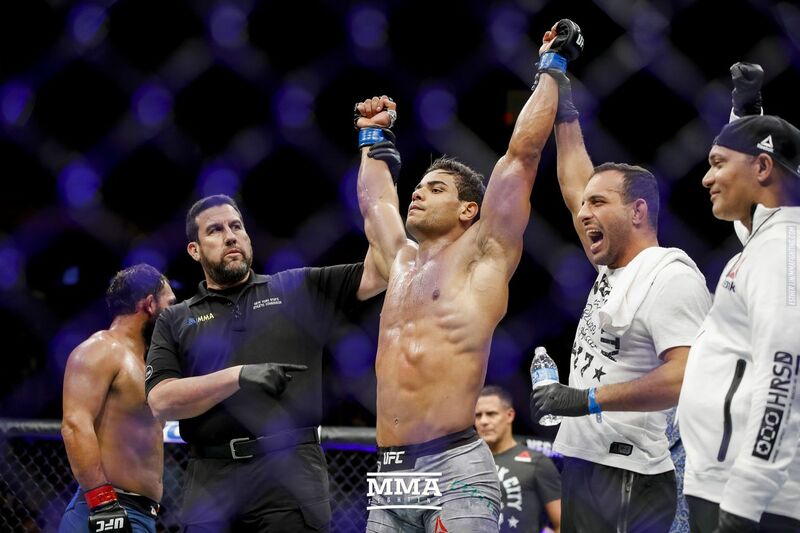 Lee Park, a spokesperson for the commission’s parent governmental body, the New York State Department of State, wrote in an e-mail that the NYSAC did not pull the plug on Costa's UFC Fort Lauderdale fight, but that Costa “has been fined, not suspended, by the Commission." The Brazilian is also “not presently licensed” by the NYSAC. According to Park, Costa has not yet paid the fine, which was for $9,333.33. Costa said he’s willing to fight Romero “in May, June, July, whenever he’s ready." He also criticized Romero for claiming he had failed a drug test.